Despite my limitations, I had a great time. 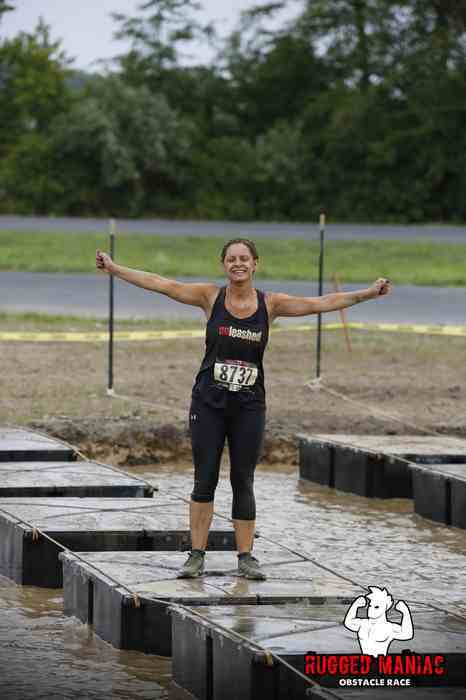 The course was not as challenging as the Spartan Sprint, for example, but the obstacles were fun and interesting. There were several low crawls, two under barbed wire and one under a fence. The barbed wire crawl was a pit of muddy water, so the wire was high enough from the ground that you weren't forced to put your face into the water.